the world, and civic engagement and volunteerism constitute intractable components of the organization. The Foundation’s work in developing countries concentrates on improving poor health and giving people a chance to break cycles of extreme poverty and hunger. In the US, the work focuses on providing underprivileged sections of society with access to opportunities to gain educational and life skills that will help them succeed in the future. 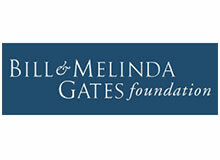 The Gates Foundation operates in the US and in developing countries worldwide. Please note: the foundation is unable to make grants directly to individuals. Visit our Grant Seeker FAQ for more information. It’s important to note that the Gates Foundation invites proposals by directly contacting organizations, and occasionally authorizes requests for grants through its Requests for Proposals system . Grants or donations to individuals, political campaigns, capital/building campaigns or projects exclusively for religious purposes Individuals – do not qualify for funding requests. Only tax-exempt organizations are eligible for the Foundation’s grant/award programs. Each application is assessed according to organizational focus, capabilities and strategic priorities, and the Foundation makes investments over a 4-phase process: Concept Development, Pre-Proposal, Investment Development and Management & Close. A summary of the criteria for funding projects can be found by clicking here (http://www.gatesfoundation.org/How-We-Work/General-Information/Evaluation-Policy). The Bill and Melinda Gates Foundation was launched in the USA in 2000, as the product of a merger between the William H. Gates foundation and the Gates Learning Foundation. It is one of the largest transparently run private foundations in the world. Its first projects included the provision of internet in US public libraries as well as the supply of simple medical treatments to people at home and abroad.